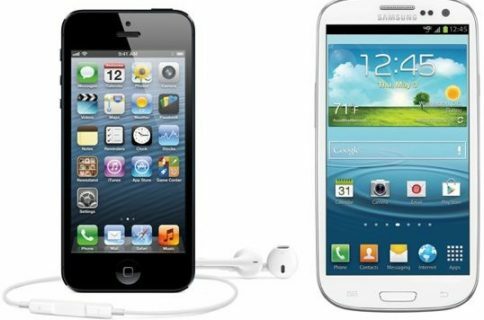 The smart device duopoly of Apple and Samsung is set to continue into 2014, new research finds. Although growth is slowing amid lack of ‘wow’ factor, smartphones will account for three-quarters of the 2.5 billion devices expected to sell next year. In other words, smartphones will comprise an astounding 1.9 billion handsets sold next year. 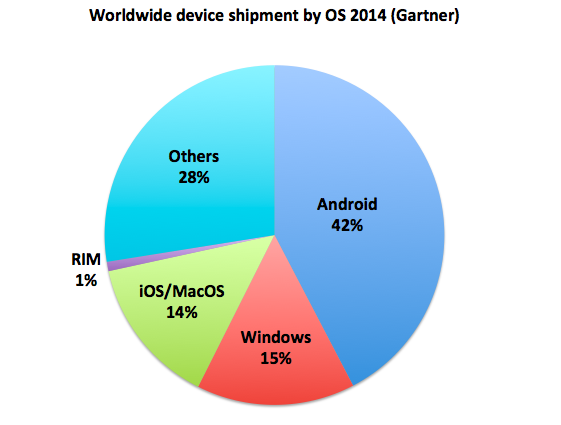 While the numbers reflect Android’s continued dominance, Samsung may be the main beneficiary. Although Apple has racked up nearly 60 percent of mobile phone profits despite having fewer unit sales, the South Korean smartphone maker could jump ahead for the period that ended June 30, according to one analyst. The Galaxy S4 may be well-received during a time when there is no refresh of Apple products, Canaccord Genuity’s T. Michael Walkley said earlier this year (that prediction may need revising, given the tough reception which greeted the S4). Samsung has also become the face of Android, uniting a rather rag-tag group of smartphone makers. “The rest of the Android smartphone makers are inhaling Samsung’s exhaust,” writes CNET’s Dan Farber. Gartner estimates that 2.5 billion devices will be sold in 2014, with Android devices accounting for 42 percent of sales. 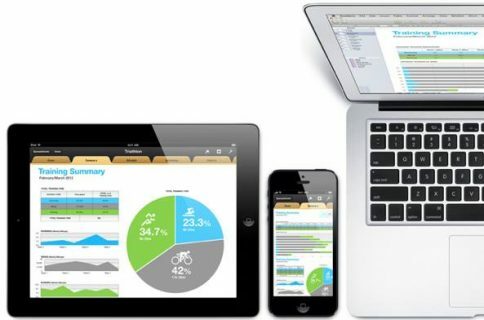 Gartner research vice president Carolina Milanesi said Apple’s share is spread across iPhones, iPads and MacBooks. By comparison, 90 percent of Android sales are for smartphones and 85 percent of Microsoft demand comes from PCs (an area which is quickly being consumed by tablets). As Farber notes, Apple and Samsung have become bitter rivals but with grudging admiration. 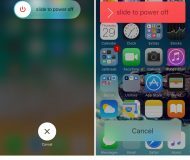 Although Apple won a $1 billion patent-infringement case against Samsung (now undergoing appeal), it remains a major customer of its rival – for now. 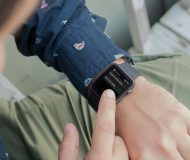 The two are equally equipped, with Apple controlling its hardware and software while Samsung controls most hardware and component manufacturing. Although anything’s possible, the profitable frenemies relationship between Apple and Samsung will likely continue into 2014 and quite possibly beyond.